A completely redesigned website is now available from the General Board of Discipleship (GBOD). 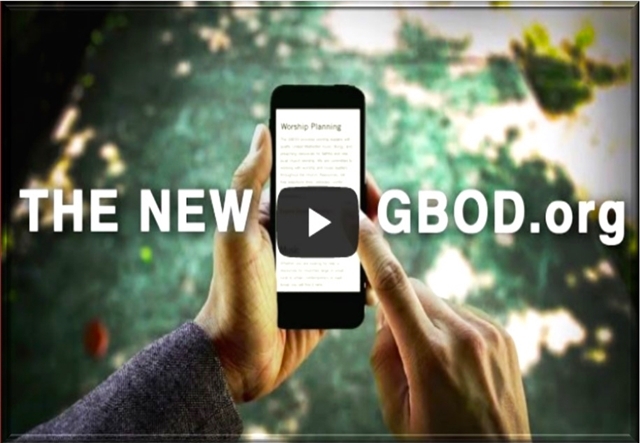 The refreshed gbod.org was designed to provide church leaders with access to GBOD resources, training events, webinars, best practices and networking opportunities more efficiently than ever before. Take the site’s new Downloads Folder for example. In the past, you might travel through the website and hope you would remember what downloads were available. Or perhaps you’d find something you wanted to print, but didn’t have immediate access to a printer. Now as you go through the website, you'll be able to put resources in the Downloads Folder with just a mouse click. Then, when you are ready to leave, the website will allow you to zip all of those resources with another click and save them to your desktop. The design team listened to input from all users, both outside and inside the agency, to produce the new platform with its 10,000 pages of content. The new site works equally well from a desktop, tablet or smartphone, with pages resizing to fit each device. According to research, a vast majority of church leaders that come to the GBOD website each day are looking for worship resources. The GBOD site offers worship leaders and pastors with daily worship resources that are not readily available anywhere else in the denomination, and now, those worship resources are available from the home page or one click away at the most. From the site’s homepage, leaders looking for worship information can click to find resources for worship planning, music and preaching. With another click, leaders can find resources for ministries dealing with children, youth, young adults, adults, older adults, laity, church leaders, Christian education, covenant discipleship, marriage and family ministries, stewardship, ethnic and language resources, camp and retreat ministries, congregational development and best practices.